For those of you that know me, you know that I am Ohio born and raised. I also lived briefly in Cincinnati. I loved my time in Cincinnati and although I would have loved to be there longer, life didn't work out that way. 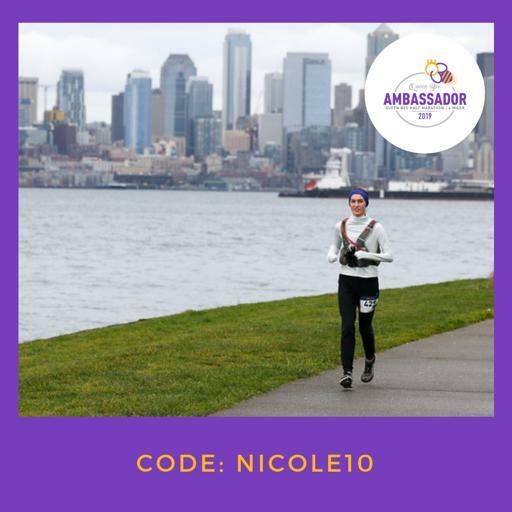 So as you can imagine, I am ecstatic to share that I was selected to be an ambassador for the Queen Bee marathon this year! Although I now live a plane ride away in Seattle, I managed to make it back to Cincinnati last year for the Flying Pig 4-Way Challenge - Marathon + 10k + 5k, which was a ton of fun. The Queen Bee Half and 4-Miler is put on by the same group, but has a women's focus! Let me just say, never have I valued having tissues at aid stations until I was introduced to it by the Flying Pig group. Especially when it's chilly (as it will likely be in October!) having the option of a tissue instead of sweaty sleeves feels almost royal. Whether you are local or considering a race to travel to, this one is the one for you! My advice for the course is to go out slow, if you can run/walk negative splits on the half marathon course that means you did something right. The worst of the hills are early, but you finish with plenty of rolling hills and even an uphill towards the finish so best to pace yourself as such :) I would say hill training is a must for this one! If you live in Cincinnati (or Seattle) that's not hard to fit into your usual routine. If you're thinking about coming down from Columbus you may want to put some extra thought into your training routes. But most importantly, just consider coming out for a fun weekend and bring your friends! I am already plotting for what Ohio contacts I'll rope in to run with me. And if I didn't sell you on the running aspect maybe I can sell you on the expo that will most likely offer P&G samples and other offerings that you won't want to miss!